The first edition of this illuminating study, addressed both to readers new to Jung and to those already familiar with his work, offered fresh insights into a fundamental concept of analytical psychology. This revised edition has been fully updated to reflect the publication of the DSM-5. Craig Stephenson anatomizes Jung’s concept of possession, reinvesting Jungian psychotherapy with its positive potential for practice. Analogizing the concept – lining it up comparatively beside the history of religion, anthropology, psychiatry, and even drama and film criticism – offers not a naive syncretism, but enlightening possibilities along the borders of these diverse disciplines. An original, wide-ranging exploration of phenomena both ancient and modern, Possession offers a conceptual bridge between psychology and anthropology, challenges psychiatry to culturally contextualize its diagnostic manual, and posits a much more fluid, pluralistic and embodied notion of selfhood. It will prove essential reading for Jungian psychotherapists, analytical and depth psychologists and psychiatrists as well as academics and students of anthropology, mythology and religious studies. Preface to the Second Edition. Introduction: Jung’s Concept of Possession – An Organic Approximation. The Possessions at Loudun: Tracking the Discourse of Possession. The Anthropology of Possession: Studying the Other. Possession Enters the Discourse of Psychiatry: Recuperation or Epistemological Break? Reading Jung's Equivocal Language. 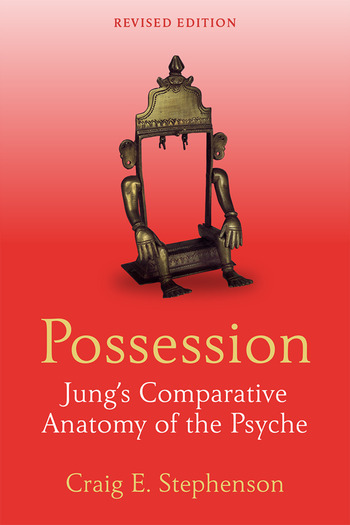 Jung's Concept of Possession and the Practice of Psychotherapy. The Suffering of Myrtle Gordon: Cassavetes's Opening Night and Chaikin’s Open Theatre. Closing. Craig E. Stephenson is a graduate of the C. G. Jung Institute, Zurich, the Institute for Psychodrama, Zumikon, Switzerland and the Centre for Psychoanalytic Studies, University of Essex. He is a Jungian analyst in private practice.